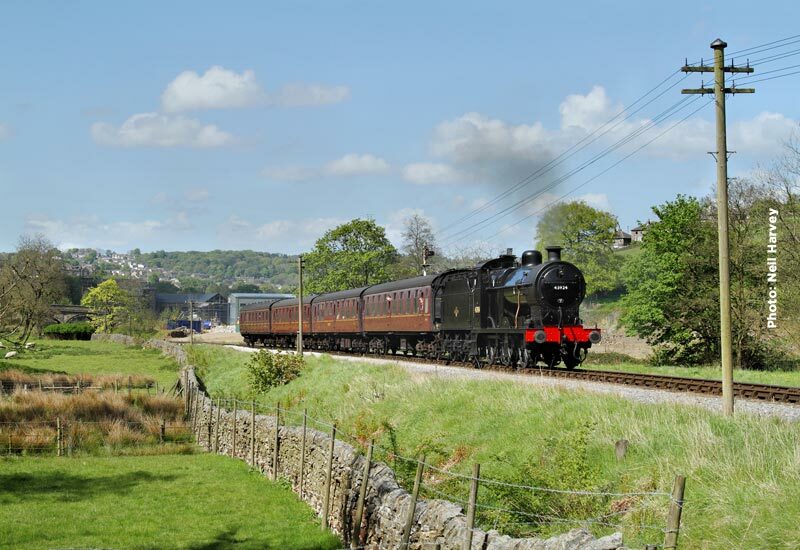 With the Haworth 1940s Weekend stretching over 3 days, steam service trains will be running everyday with 3 steam locomotives that saw service in the war years plus some mainline diesel action on Saturday and Sunday morning. 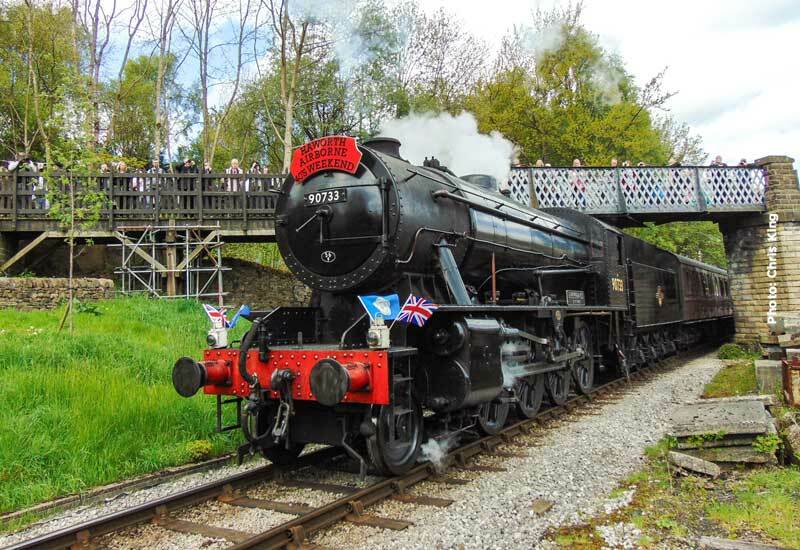 On the roster for the whole weekend’s operation is WD 2-8-0 90733, a locomotive built specifically as part of the war effort, and saw service in mainland Europe before cessation of hostilities. On Saturday 90733 is joined by our second locomotive built for the hostilities, USATC S160 2-8-0 5820, built in the USA to the British loading gauge but shipped directly to Poland in 1945, from where it was purchased in 1977. 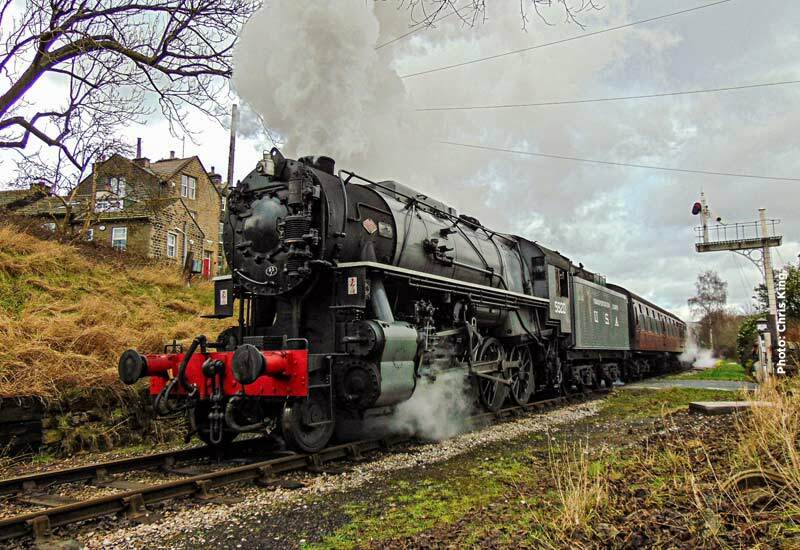 The 3rd steam engine in action will be 4F 0-6-0 43924, built in 1920 by the Midland Railway which had already “clocked” up many miles after 19 years service when war broke out in Europe. Starting with the 11.00 departure from Keighley these 3 locomotives will work turn and turn about giving a variety of motive power on departures from Keighley. Of particular interest to enthusiasts will be the 17.45, the last passenger working of the day from Keighley when 90733 will double head with train engine 5820. The last departure from Keighley will be the 18.25 ECS working to Oxenhope. 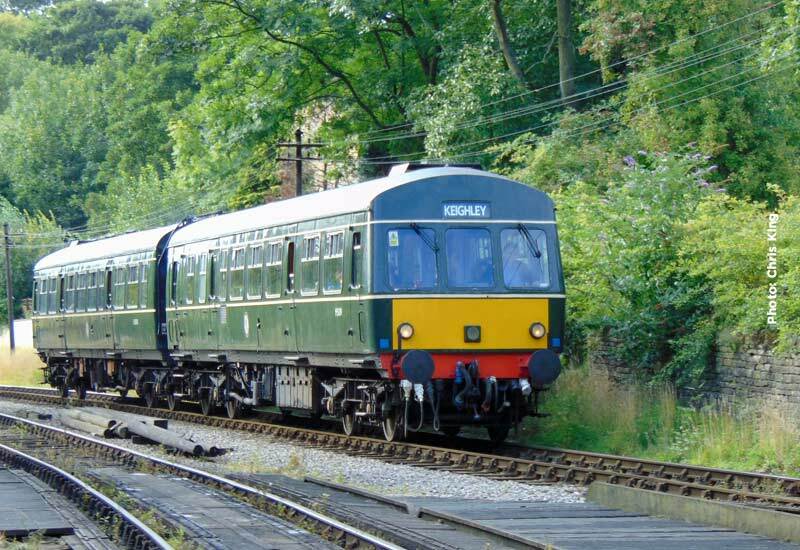 Class 101 DMU will be on the early morning diesel service on Friday when the Green timetable is in operation. 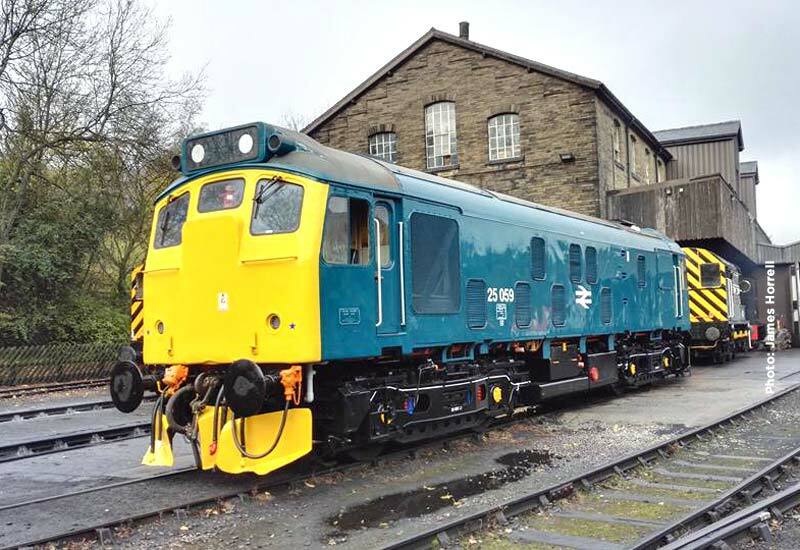 On Saturday and Sunday the first and third departures from Keighley and the second from Oxenhope will be diesel hauled stock with BR Type 2 diesel electric locomotive number 25 059 in charge. And don’t forget, mid-week, the Diesel Railcar Service that operates on Wednesday. For the timetables in operation this weekend, please click HERE to visit the Times & Fares page of the website. Always a very atmospheric event with lots of interest and style. Good to see KWV entering into the same spirit.